Musical theatre star Sally Ann Triplett brings her cabaret to the Crazy Coqs. Sally Ann Triplett has had an extraordinarily varied career, starting off riding elephants in the circus, but mostly in musical theatre where her belt voice and dancing skills were put to best effect. She describes herself as ‘a hoofer’, though she always hoped for a career in ballet. 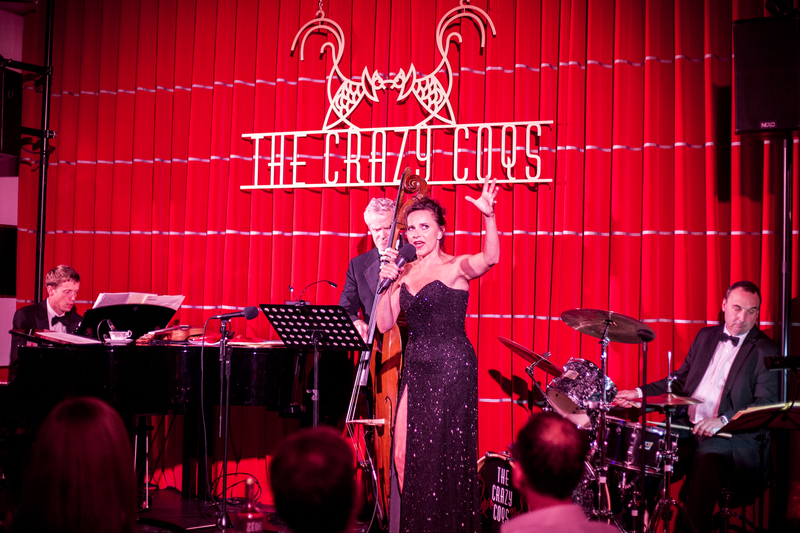 The show at Crazy Coqs consists mostly of a whistle-stop tour of songs from her musicals – she has appeared in 11, apparently – with some jazz numbers thrown in for good measure. There are even a few excellent comic duets with her recent colleague from Damsel in Distress, Sam Harrison. Accompanied by a rhythm section comprising musical director/pianist Mark Dickman, bass player Dave Berry and Martin Layzell on drums, she sings works from Best Little Whorehouse in Texas where she was engaged as Swing early in her career, which enabled her to play nine whores, as well as songs from Follies, Grease, Anything Goes, Guys and Dolls, and Mama Mia, to name but a few! Chicago’s All That Jazz showed off her voice particularly effectively. Whilst one could certainly see her undoubted talent, the first set, though entertaining, did feel somewhat unstructured. There was precious little patter or well-crafted links, but rather just the dates of when she appeared in the show the song came from. Also, Triplett gave few of the songs a personal take or showed much emotional connection with them. This meant we felt rather distanced, not helped by the band drowning her out on more than one occasion, making it difficult to hear the lyrics. The second set was more successful in this regard. As with a lot of musical theatre performers, Triplett appears reluctant to ‘break the 4th wall’ – that is, to share directly with us. She does speak and her patter is amusing, but this could be much more developed, offering more thoughts, observations and anecdote. Occasionally, she tantalised us with titbits, such as when a drunken Eartha Kitt punched her during the run of Follies, and how she came to play opposite Sting on Broadway. We were dying to hear more. In fact, Sting’s song As Yet from his Broadway show The Last Ship provided one of the most stimulating and affecting songs of the evening, alongside a lovely ballad arrangement of Abba’s Chiquitita, and a very touching rendition of Al Johnson’s When the Red, Red Robin. Again, this worked so well, in part, because by then we knew that as a child she loved to go on Sunday drives with her father when they would sing old songs together. 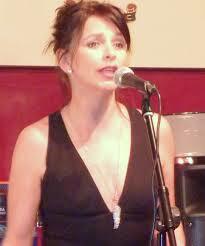 She displays her musical ability too with the jazz material, perhaps best demonstrated by Straighten Up and Fly Right. There is much to commend this show. It would be further strengthened by greater direct communication with us, including through the songs themselves. Her personality is charming and intriguing – and we would love to get to know her better. This entry was posted in Cabaret Reviews and tagged Eartha Kitt, Sally Ann Triplett. Bookmark the permalink.